Quadram Institute Bioscience is a company limited by guarantee (company number 03009972), with charitable status (registration number 1058499) and a Board of Trustees that oversees the Institute’s activities. Responsibility for day-to-day matters is delegated to the Institute Director and the Executive Board within an agreed and clearly understood framework of strategic control. Prof. Ian Charles is the Director of Quadram Institute Bioscience and leads the programme to develop the Quadram Institute. Prof. Charles returned to the UK in 2015 to take up his position from Australia, where he was Director of the ithree institute, University of Technology, Sydney. He has over 30 years’ experience in academic and commercial research. His academic career has included being a founding member of The Wolfson Institute for Biomedical Research at University College London, one the UK’s first institutes of translational medicine. Ian has also worked in the pharmaceutical industry at Glaxo Wellcome, and has been founder and CSO of biotech companies in the area of infectious disease, including Arrow Therapeutics, sold to AstraZeneca, and Auspherix a venture capital backed company founded in 2013. His current research interests include infectious diseases as well as the microbiome and its impact on health and wellbeing. Dr Tim Brears (Chair) – Chief Executive of Evoentix Limited, a Cambridge-based, venture-capital-funded company that is developing a radically different approach to gene synthesis to enable the emerging field of synthetic biology. 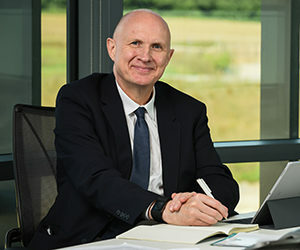 Previously, Tim has served as Chief Executive of a number of bioscience companies, including Xention, a biopharmaceutical company specialising in the discovery and development of ion-channel-modulating drugs for the control of atrial fibrillation, and Gendaq, a company focused on the development of zinc finger proteins for gene regulation. From 1993 to 1999 he was director of licensing at Ciba-Geigy (later Novartis) Agribusiness in Research Triangle Park, North Carolina. Tim is a graduate of Oxford University and holds a PhD in molecular biology from Cambridge University. He subsequently held a long-term fellowship of the European Molecular Biology Organisation at Rockefeller University, New York. He also has an MBA from Duke University’s Fuqua School of Business and is a Registered US Patent Agent. 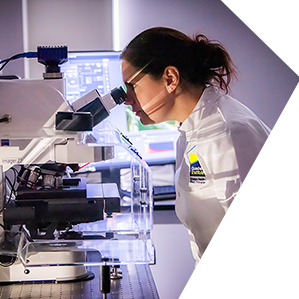 The membership of the Board of Trustees for Quadram Institute Bioscience is drawn from the academic community, the food industry and public representatives and covers a range of skills including business and risk, science and technology and social and ethical responsibility. 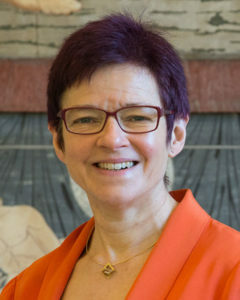 Dr Celia Caulcott is Vice-Provost (Enterprise and London) UCL (University College London), and is responsible for developing and leading the UCL strategies for both Enterprise and London. The former focuses on helping the outstanding staff and students of the university to make a difference to society and the world, in particular through embedding a culture of innovation and enterprise across the university. The UCL 2034 London strategy recognises the many facets of UCL as London’s global university, in particular recognising the multiple ways in which the university as a whole engages with the culture in London, the leadership of London and the opportunities for London. Previously, Celia was the Executive Director, Innovation and Skills at the BBSRC, where she was responsible for developing and delivering BBSRC strategy for innovation. She worked in and with the biopharmaceuticals industry (including Celltech Ltd, ICI Pharmaceuticals, the Wellcome Foundation and various UK early stage biotechs) and the Wellcome Trust on the Human Genome Project. Celia has an honours degree in Microbiology from Newcastle University and a PhD in pharmaceutical microbiology from Aston University. Professor Gordon Dougan F Med Sci FRS – Professor Dougan, who is a Professor in the Department of Medicine at Cambridge University, is an internationally recognised expert in vaccinology. He was Head of Pathogens at The Wellcome Trust Sanger Institute (WTSI) for over a decade. 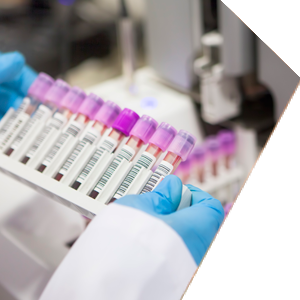 His personal research team studies enteric pathogens with a strong emphasis on pathogenic mechanisms, genomics and antibiotic resistance. 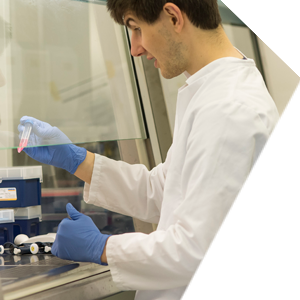 He has a particular interest in using genomics to study the evolution of Salmonella enterica serovar Typhi, the cause of typhoid. Before moving to the WTSI he was the founding Director of the Centre for Molecular Microbiology and Infection at Imperial College London and a Professor of Biochemistry. He is a member of EMBO and a Fellow of the Royal Society. He received his B Sc and Ph.D. from the University of Sussex and conducted postdoctoral studies at the University of Washington (Seattle) in the laboratory of Stanley Falkow. He worked in industry developing novel vaccines at an internationally renowned multi-national company. He currently sits on the board of The Hilleman laboratories, a joint venture between Wellcome and Merck. He is a founder of VHSquared and Microbiotica, both spin outs of The Sanger Institute. He is currently an ‘Expert in Residence’ at The Wellcome Trust, advising them on vaccine strategy and innovations. He has published over 500 research papers (many in high impact journals), edited several books and has sat on the editorial boards of a number of prestigious journals. He also holds adjunct professorships at the Universities of Monash and Melbourne. 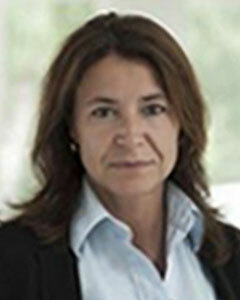 Dr Bénédicte Flambard currently is Global Head of the Business Unit of Live Therapeutics & Nutraceuticals at Boehringer Ingelheim, the #2 Global Leader specialized in Pharmaceuticals and Vaccines for Production and Companion Animals. She leads the creation of a new business area at the interface of Therapeutic Nutrition and Health, combining novel microbial based bio-therapeutic and diagnostic approaches. Previously, Bénédicte worked for Chr. Hansen, the world Leader in Microbial Solutions, holding several Vice President positions, serving the Health Supplements for Pharma, OTC, Infant Formula as well as Agricultural Industries (Animal Feed & Plant). In parallel to core business, she was seeding and developing Growth Opportunities into Start Up businesses- one focusing exclusively on Microbiome- from Discovery of new micro-organisms to Scale up and Pilot Manufacture for Pharma Industries. She holds diverse Scientific Advisory roles for research Institutions, such as Panel of INRA’s Microbiology and Food Chain Division, and provides consulting services to organizations in the sectors of consumer goods, pharmaceuticals and technology. Bénédicte holds a Master of Administration, with specialties in business models in emerging economies from the University of Bath (2011, UK); a PhD in Molecular Genetics and Microbial Physiology from INRA (National Institute of Agronomic, Jouy en Josas) and the University of Lyon in 1999; and a Master in Corporate Entrepreneurial Leadership from the Centre for Technology Economics & Management (2008, Denmark). Her scientific academic focus had been within the engineering of intestinal microbes to deliver enhanced health properties within the Cardiovascular and Immune domains, and more recently on host-microbe cross-talks. 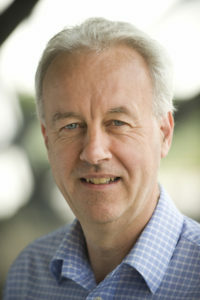 Prof. Peter Morgan is the Director of the Rowett Institute (RI) at the University of Aberdeen. As Director and CEO of the Rowett Research Institute (RRI), he led the merger of RRI with the University of Aberdeen to create RI in 2008. 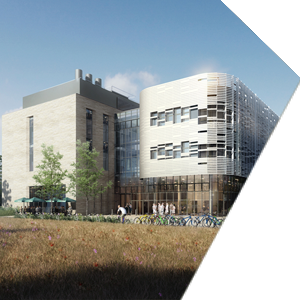 A key part of this was the development of a new £40 million Rowett Institute incorporating a state of the art human nutrition research facility on the University’s Medical School Campus, which he spearheaded and which was opened in April 2016. As Director, he is responsible for the strategic direction of the Rowett Institute, part of which involves delivery of a strategic grant funded by Scottish Government worth ca £8 million per annum. This involved overseeing research across a wide spectrum of nutrition, including obesity, metabolic and gut health and life-course nutrition. 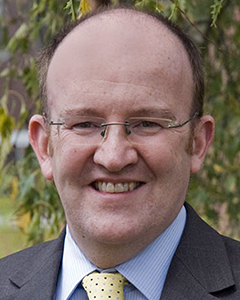 Between 2008 and 2014 he served as a Vice-Principal at the University of Aberdeen, where he was involved in the strategic management of the University, particularly in relation to research and the Research Excellence Framework. His personal research interests are in the neurobiology of energy balance as well biological rhythms. More recently this has been expanded to include gut microbiome-brain interactions. His research has been funded through grants from BBSRC, MRC and though strategic alliances with industry (pharma) and from Scottish Government and this has produced recognised impact. 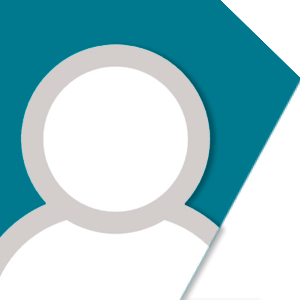 He is, or has been, a member of numerous scientific committees and working groups focus on research and policy related to nutrition, diet and health in Scotland and across the UK and Europe, including with BBSRC and MRC. He was elected a Fellow of the Royal Society of Edinburgh in 2002. 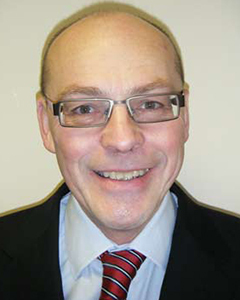 Prof. Steven Walker is Director General, Campden BRI, and obtained his degree in Food Science and PhD in Microbiology from the Queen’s University of Belfast, before joining the Microbiology Department of Campden BRI in 1986. In this role he worked extensively on predictive microbiology and chilled foods microbiology. 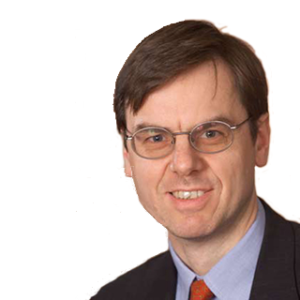 From 1994 to 2004, Steven undertook the newly created role of Director of Research, which guided, directed and managed the company’s research programme, funded by membership subscriptions, UK Government, the EC and industrial consortia. 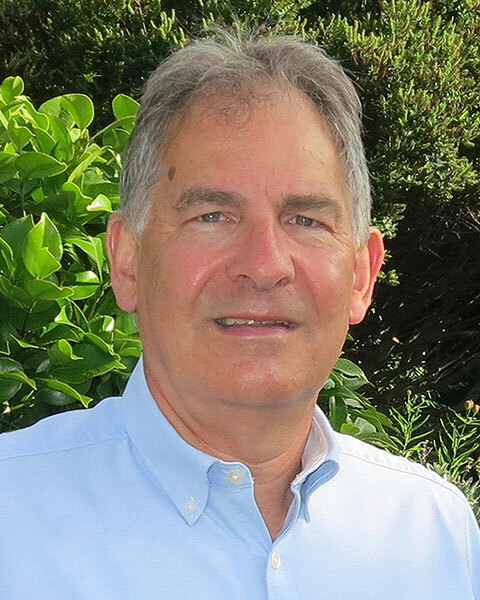 Following four years as Director of Cereals and Cereal Processing, where he led and managed the research, consultancy, analytical and training activities of the division, Steven was appointed as Director-General in 2009. During his 26 years service, Steven has played a major role in both the scientific and commercial aspects of the business, working closely with senior technical, operational, financial and political representatives from the agri-food and allied industries and funding bodies in the UK and overseas. 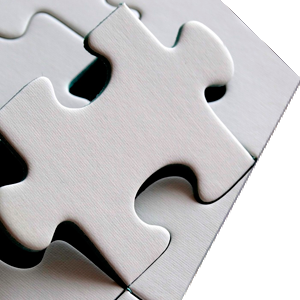 Following a degree in Economics from the London School of Economics, Steve qualified as a Chartered Accountant with KPMG, London, in the early 1980’s. He then moved into “industry” with Schlumberger and Xerox Corporation, taking a first Financial Director role with Odhams-Sun printers in 1988. Since 2008, Steve has been Group Finance Director of The Shropshire Group a large salad and vegetable farming, processing, packing and marketing organisation headquartered near Ely in Cambridgeshire. The business employs 5000, has sales of circa £400m and physical operations in the UK, Spain, Czech Republic, Poland, Senegal and the USA. Steve is also a member of the Strategy Board for the Eastern Region of the Institute of Chartered Accountants in England and Wales. Steve lives in Ely, is married with two children, both of whom work in London.